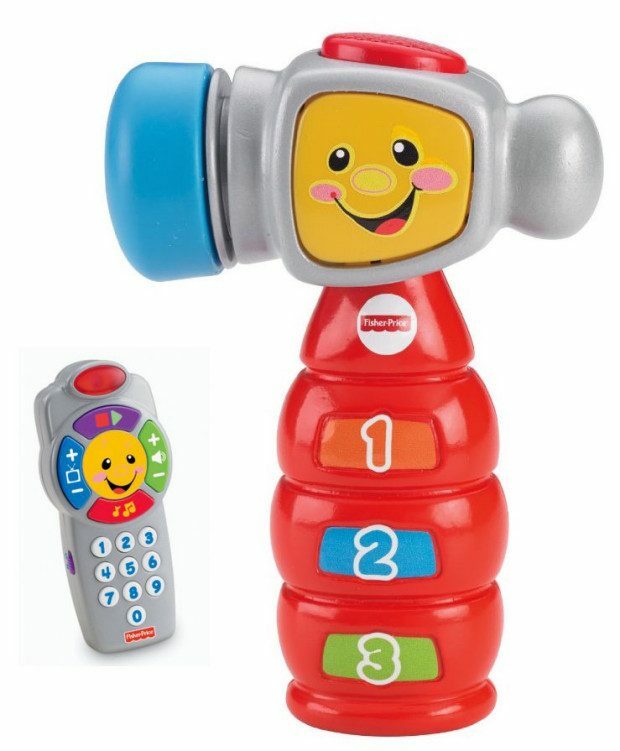 FREE Laugh & Learn Click n' Learn Remote WYB Select Fisher-Price Toys! Starting $9! You are here: Home / Great Deals / Amazon Deals / FREE Laugh & Learn Click n’ Learn Remote WYB Select Fisher-Price Toys! Starting $9! FREE Laugh & Learn Click n’ Learn Remote WYB Select Fisher-Price Toys! Starting $9! FREE Laugh & Learn Click n’ Learn Remote WYB Select Fisher-Price Toys! Starting $9!! Head over to Amazon and get a FREE Laugh & Learn Click n’ Learn Remote When You Buy Select Fisher-Price Toys! Toys Starting at $9!! Put the Fisher-price Laugh & Learn Click ‘n Learn Remote in your basket along with the Fisher-Price Laugh & Learn Tap ‘n Learn Hammer and get both for $9! Discount is applied at checkout. Shipping is FREE with Prime or on orders of $35+. Don’t have Prime? Try a 30 day FREE trial!